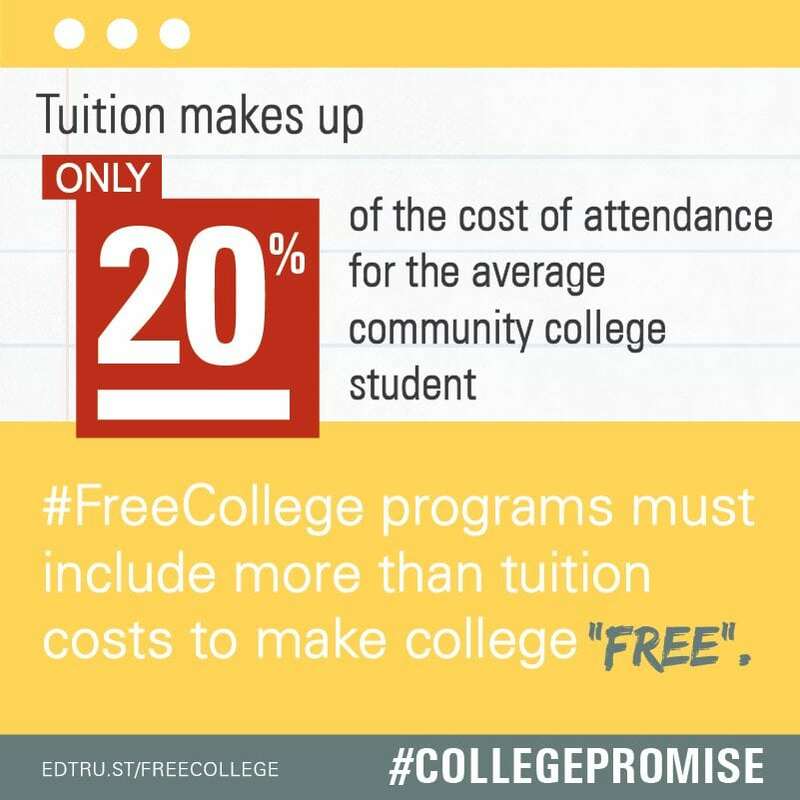 A Promise Fulfilled: A Framework for Equitable Free College Programs reviews proposed and existing free college or “college promise” programs, as of 2017, and finds that free college is not inherently equitable. We examined 15 existing statewide programs and 16 proposed programs, through 2017, using an eight-part equity rubric and found that not a single program meets all eight criteria. 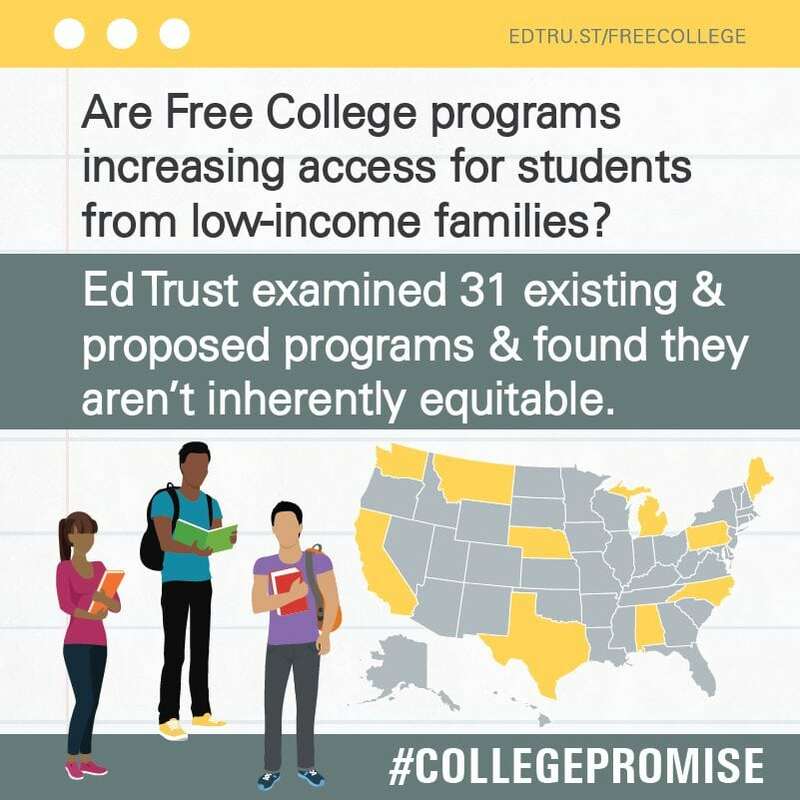 On average, programs met only half of the equity criteria. 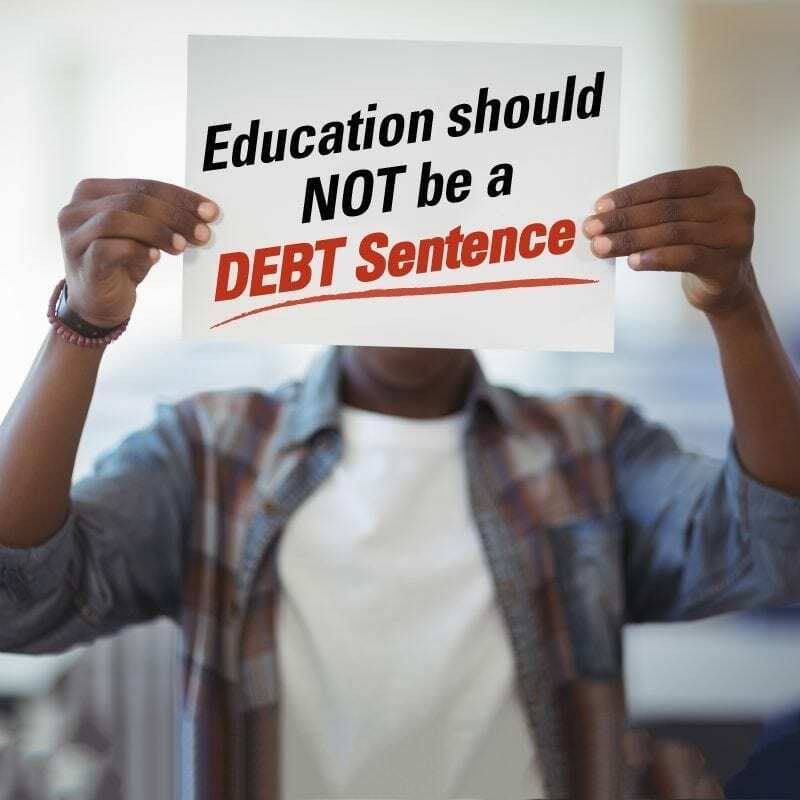 If states want to truly offer free college to all students, they need to expand these programs with students from low-income families in mind. 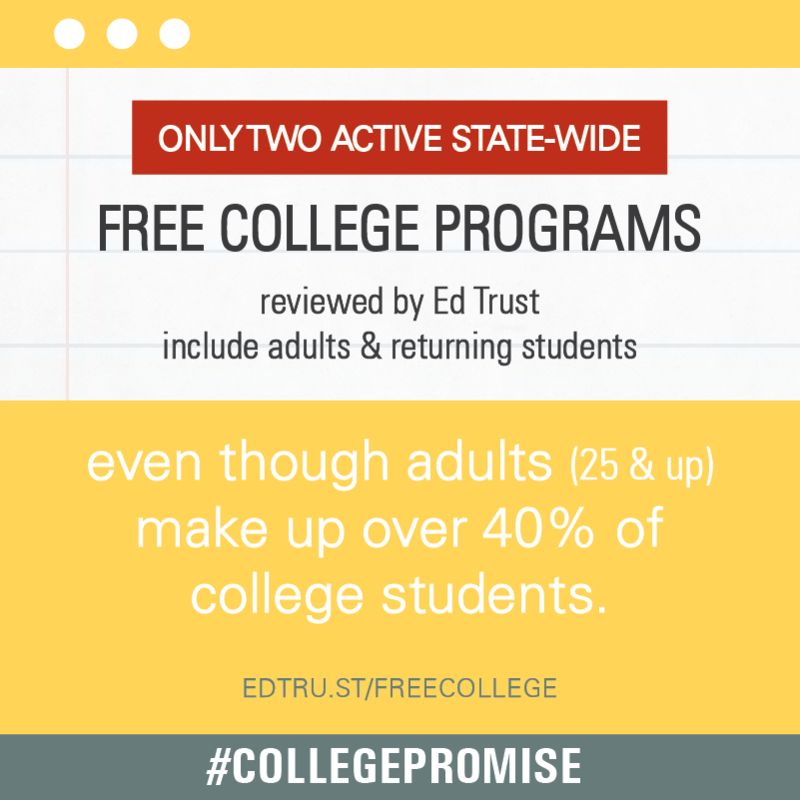 Ed Trust stands ready to help policymakers better design free college programs and to help advocates push for equity-driven policies. Use the map to explore more information on the 31 existing and proposed programs we examined. * Analyzed programs were proposed or in effect as of 2017. **Click here for a detailed description of each of the 8 Equity Criteria.